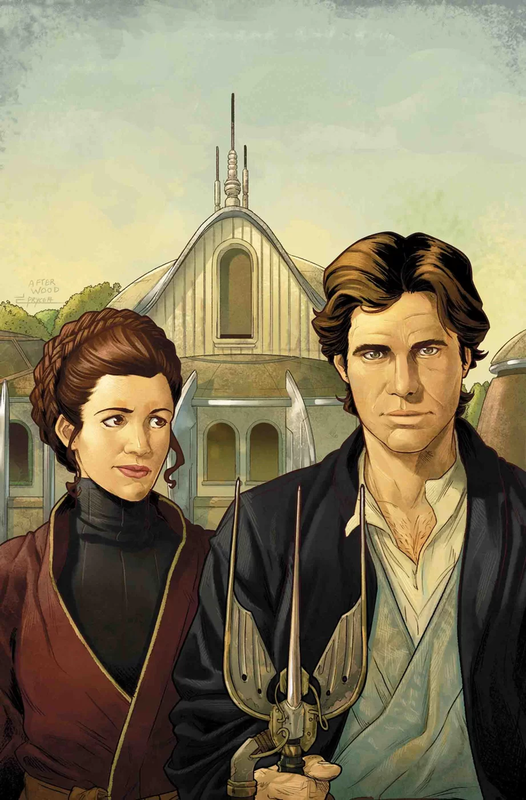 Marve has one new Star Wars comic out today. 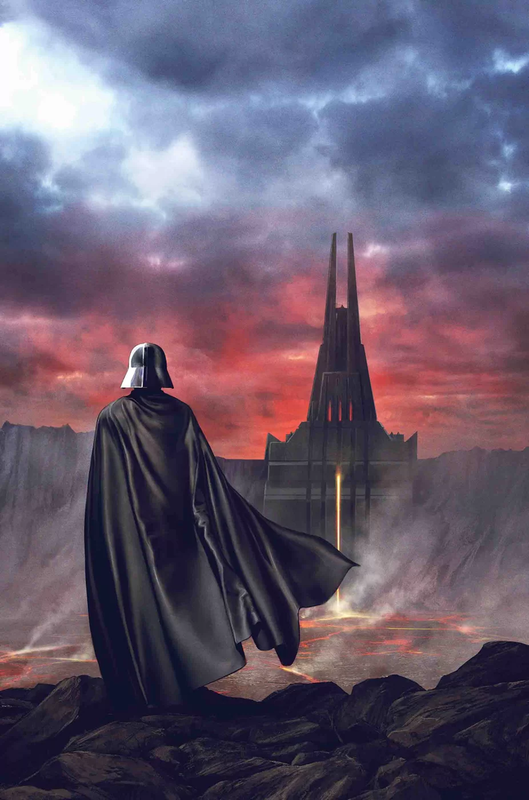 “FORTRESS VADER” – PART 6. The FORTRESS will stand, but at a terrible cost. 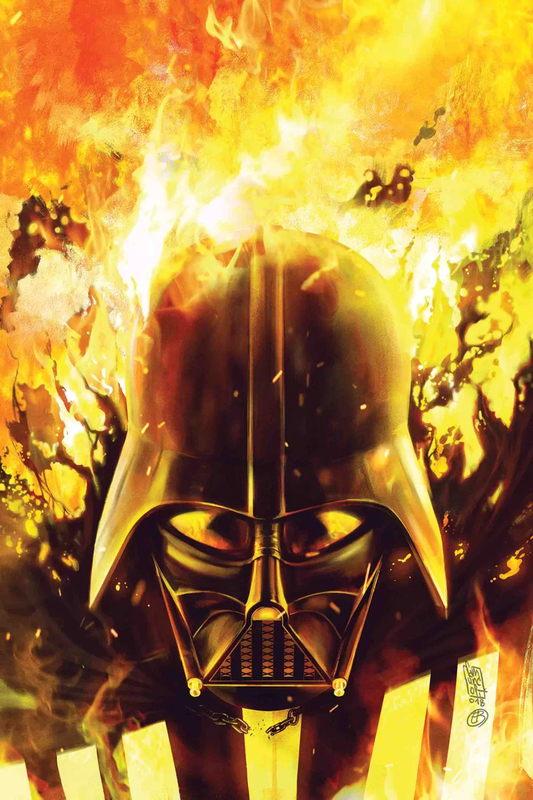 The fire will come to MUSTAFAR, and all will burn. The final design is revealed, woven from war, treachery and pain. Posted By: Skuldren of Roqoo Depot. If you’re looking for a good podcast to listen to for Thanksgiving, I recommend TechnoRetro Dads TechnoRetro Dads’ Thanksgiving: Turkey, Trains, and Television to get you in the mood. “THE ESCAPE” – PART 2. The horror of this strange planet. The horror! Shirtless HAN SOLO, chopping wood. It appears Marvel is cancelling their Shadow of Vader comic series following the firing of Chuck Wendig. 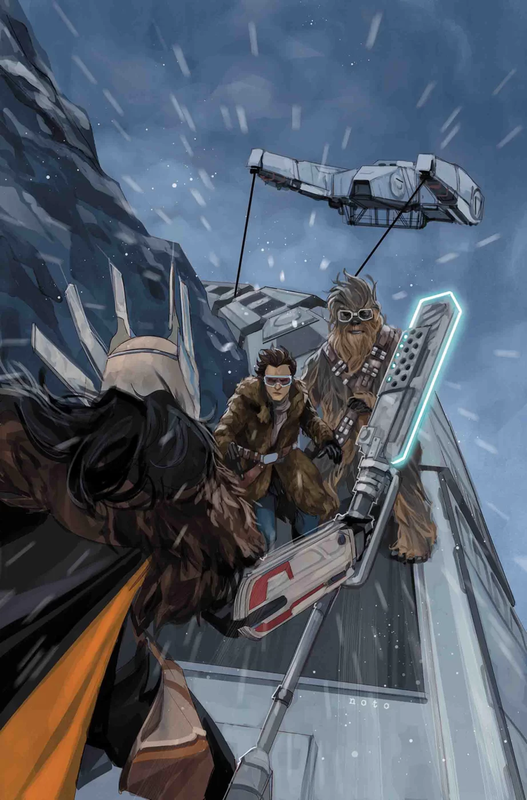 Adventures In Poor Taste has a preview of Star Wars #57, and Solo #2. Star Wars Celebration Chicago Thursday tickets are sold out. That means only Sunday and Monday tickets are left. Timothy Zahn will be in Bandon, OR for a book signing at WinterRiver Books & Gallery on November 24 at 1:00 PM. Marvel’s tribute to Stan Lee.